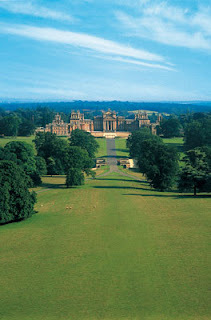 Blenheim Palace is one of England’s most famous buildings, a sprawling edifice of honey-colored stone surrounded by spacious parks. Residence of the Dukes of Marlborough, the palace is located in the village of Woodstock, near Oxford. Despite its beauty and idyllic grounds, I found an air of melancholy permeated the property. Sarah, the first duchess, fought with architects John Vanbrugh and Nicholas Hawksmoor from the very beginning. She wanted a comfortable residence. 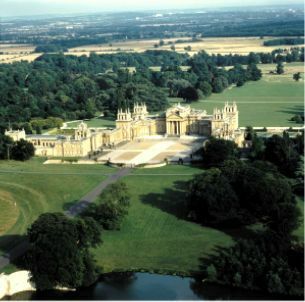 They, after creating the baroque magnificence of Castle Howard, wanted a splendid national monument on the order of Versailles. 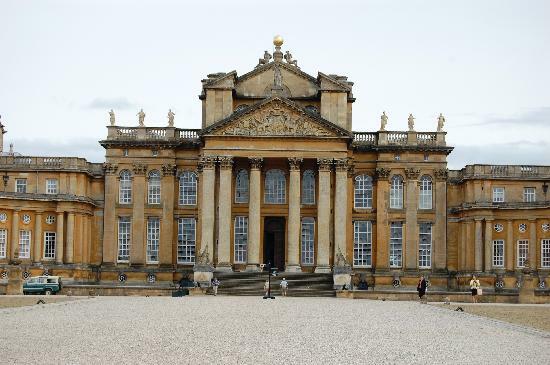 The subsequent story of Blenheim is an indiscriminate mix of the acquisition and dispersal of great art, the antics of peculiar family members, the real and imagined obligations of the aristocracy, and curiosity of the public. 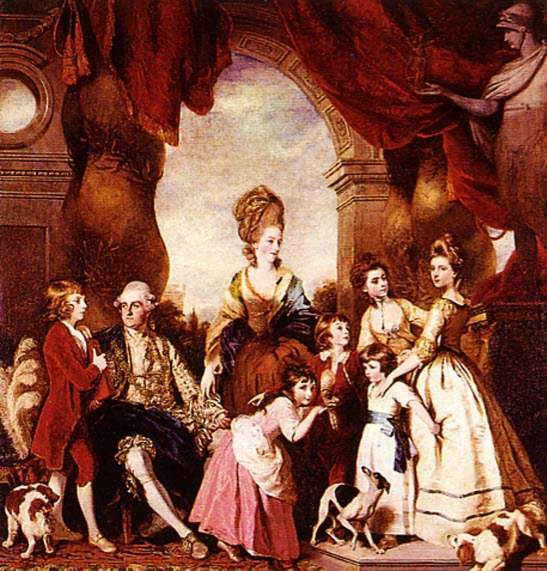 Though Sarah bore the duke six children, both sons and one daughter did not live to adulthood. 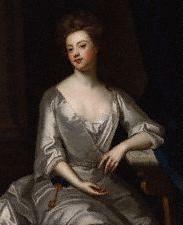 The eldest of the three remaining daughters, Henrietta, became the 2nd Duchess of Marlborough in her own right. Sadly, her son did not survive her and the 3rd Duke of Marlborough was the son of her sister, Anne, wife of Charles Spencer, 3rd Earl of Sunderland. This is the connection to the Spencer family, ancestors of the late Diana Spencer, Princess of Wales. 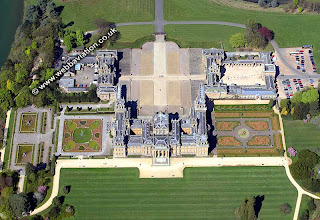 Never plump enough in the pocket, the fourth duke spent millions of pounds on the mansion and grounds. By the 1780’s, he was fading into reclusiveness, his obsession with the house nearing insanity. 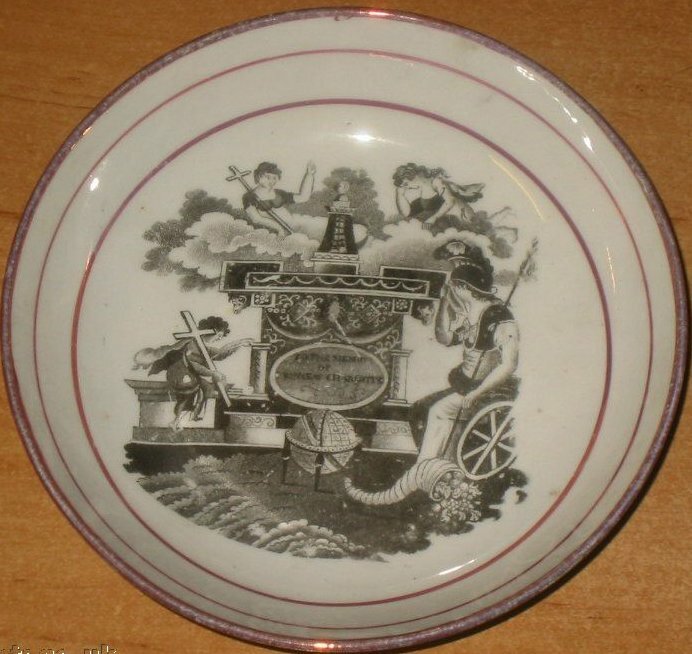 When Admiral Nelson visited in 1802, with Lord and Lady Hamilton, the duke refused to receive them. 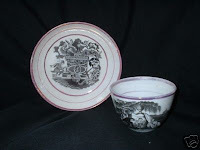 Upon the fourth duke’s death in 1817, his son succeeded. Thus, the pattern was established, dukes and duchesses sacrificing themselves and their families to a symbolic vision of Blenheim Palace more important than mere humans. Another famous victim was Consuelo Vanderbilt, who married the 9th duke in 1895, a social coup for her mother, but a lesser triumph for her father, who provided millions to restore and maintain Blenheim. 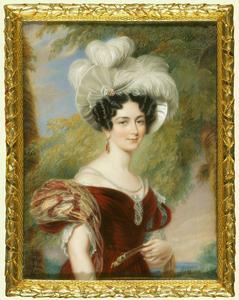 Consuelo later divorced and eventually achieved happiness as Countess Balsan. 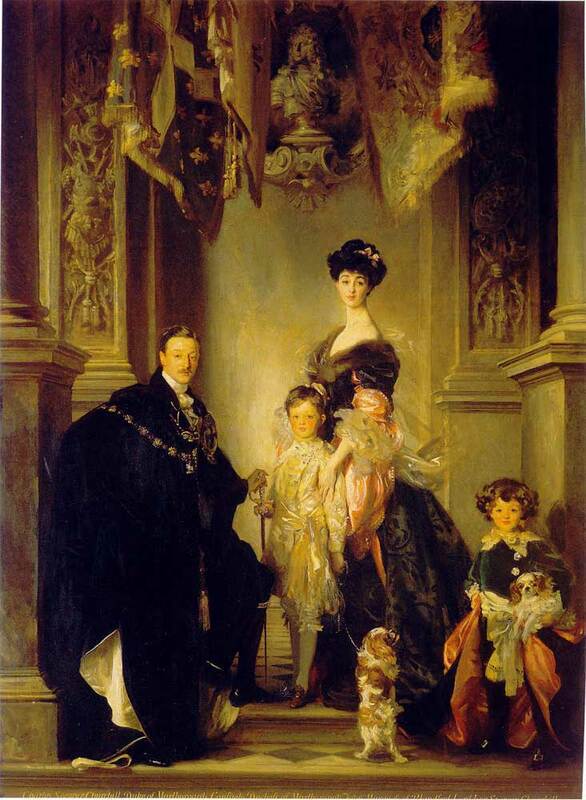 Right, the 9th Duke and Duchess of Marlborough with their heir and spare, painted by John Singer Sargent in 1907. In a future blog, I will take you on a tour of Blenheim and tell more of the story of how a family has had the lives of generations absolutely dominated by the care and maintenance of a home that is also almost a national monument. Imagine needing a new roof! Kensington Palace has been home to the royal court, on and off, since William and Mary took up residence at Kensington House, as it was then known, shortly before Christmas 1689. The accession of George I was celebrated at Kensington with a bonfire in the gardens, where the household servants and courtiers toasted their new king with six barrels of strong beer and over three hundred bottles of claret. It was George I who set about making extensive renovations to the property, though he didn’t spend much time at the Palace. 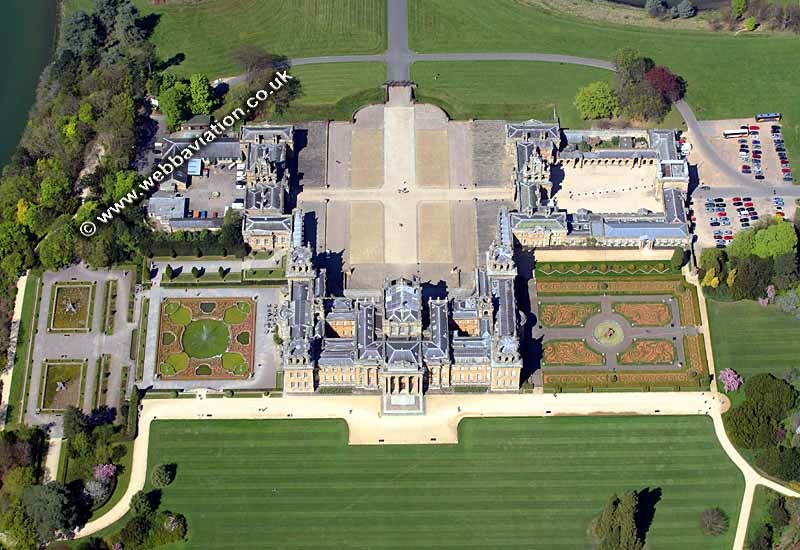 George II, on the other hand, loved the Palace, but didn’t entertain lavishly. After his sudden death at Kensington on 25 October 1760, the Palace would never again serve as the seat of a reigning monarch. 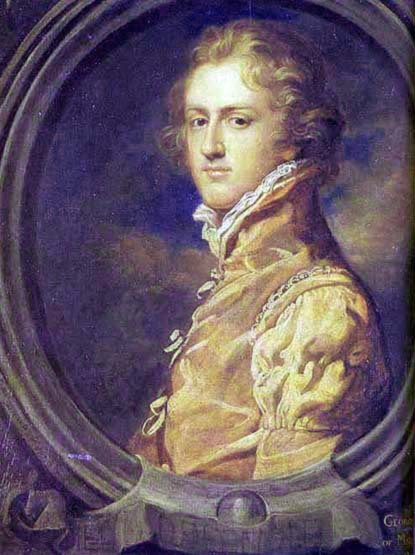 Now the story heats up – George III’s fourth son, Edward, Duke of Kent, was given two floors of rooms in the south-east corner of the Palace in 1798, below the State Apartments. 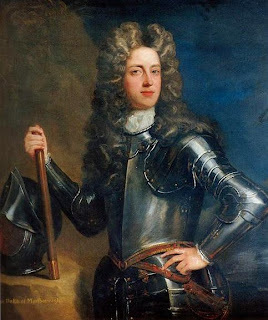 The Duke undertook extensive renovations of the main rooms of the Palace with Wyatt as his architect before hastily moving to Brussels to escape his debts. 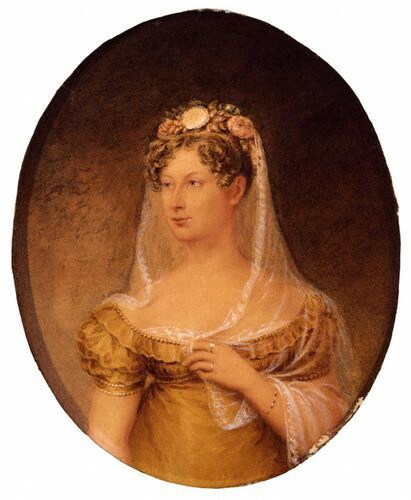 In 1817, Princess Charlotte, who was the only legitimate heir to the throne, died in childbirth. The Duke of Kent (and all of the other unmarried royals) realized that it would behoove him to find himself a bride and set about the business of begetting a legitimate heir. In 1818 the Duke married Victoire, Dowager Princess of Leiningen, the sister of Prince Leopold of Saxe-Coburg – the late Princess Charlotte’s husband. Kent was cleverer than most of his brothers when he chose a wife. Victoire of Leiningen was a widow and already had proved her fertility by having had two healthy children. 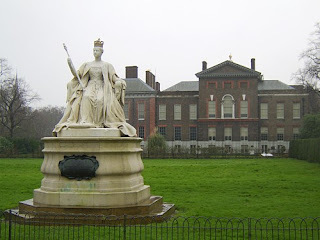 The Duke of Kent and his bride moved into Kensington Palace and Princess Victoria was born there on 24 May 1819 and christened the following month in a private ceremony in the Cupola Room. Unfortunately, the Duke lived only nine months after the birth of his daughter but the Duchess of Kent and her daughter continued to live at Kensington until the accession of Queen Victoria in 1837. On 20 June 1837, very early in the morning, Princess Victoria was awakened and told that her uncle William IV had died and that she was queen. Throughout the 19th century, the Palace was slightly neglected, its rooms doled out as grace and favour homes for minor royals or loyal retainers. A bit of glamour was restored to the Palace when Princess Margaret took up residence there, and of course the Palace will forever more be linked to its most glamorous resident, Diana, Princess of Wales. 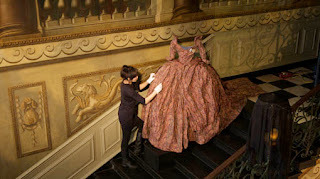 An installation called “Enchanted Palace” is on now and running through January 2011. It’s a combination of fashion, performance, storytelling and film that runs throughout the palace and tells the story of its former residents. Installations in the state apartments are by designers including Vivienne Westwood, William Tempest and Stephen Jones and illustrator/set designer Echo Morgan who, working alongside Wildworks Theatre Company, take inspiration from the palace and the royals who have lived there. Contemporary designs are displayed alongside historic items from the collection, including dresses worn by Princess Diana. Each room tells a story about a former resident. A somewhat maudalin tone is set by the Room of Royal Sorrows, focused on the emotional torment of Queen Mary II as she tried in vain a produce an heir. It is set in her bedchamber, giving the display an unsettling authenticity. The focus of the room is a ‘dress of tears’ created by Aminaka Wilmont, while on the bed is a figure of the queen, dressed in blue, face hidden. “The first time you walk into the room, it has an aura of sadness, but also incredible beauty,” said designer Marcus Wilmont, part of the team that decorated the room and came up with the outfit worn by the mannequin representing Queen Mary. “She tried really hard, but she had many miscarriages. She was a very loved queen, and we wanted to try to capture her spirit.” There are dozens of antique glass bottles known as “tear catchers” in the room, once used during times of mourning. It was thought that bottling the tears would catch and contain sorrow. Visitors are encouraged to leave a handwritten note about the last time they cried. peculiar it is as if you’ve stepped into Tim Burton’s ‘Alice in Wonderland.” Read the entire article here. One can only wonder what Queen Victoria would have thought of these avant garde goings on in her childhood home. . . . . Would she be amused? After touring the interior of the Palace and the gardens, Victoria and I will be taking tea in the Orangery. In addition to the Royal Champagne Tea, the Orangery is featuring an Enchanted Palace Tea featuring chocolate ganache and raspberry shortbread. 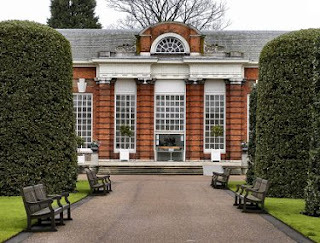 To see all of the Orangery’s menues, click here. 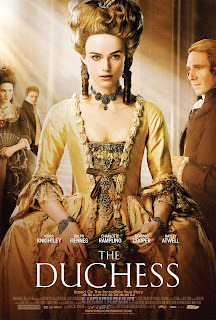 In writing about the recent films The Young Victoria (see blogpost of April 28) and Bright Star (blog post of March 27), I thought about all the excellent older films about English history and literature I remember from years past. Two of my favorites were just a couple of years ago. The Duchess (2008) was based on Amanda Foreman’s biography of Georgiana, Duchess of Devonshire, (1756-1806) starring Keira Knightley, Ralph Fiennes and many other outstanding actors. See a trailer here. In my opinion, it was a well-done film, basically accurate, though the events of the screenplay seemed to condense the period of time covered. Ms. Foreman is on record as approving of the film. Amazing Grace (2007) stars Ioan Gruffudd as William Wilberforce, MP, campaigning for the end of the international slave trade in the early 19th century. Also starring Romola Garai, Albert Finney, Michael Gambon, Rufus Sewell, Ciaran Hinds, Sylvestra Le Touzel and many other outstanding British actors. 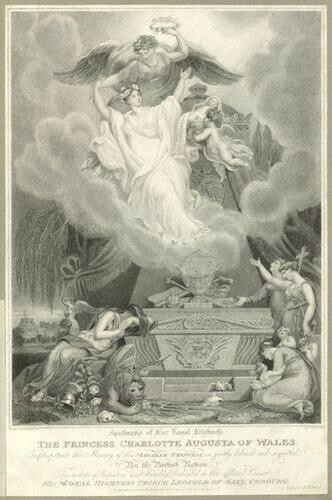 Most observers agreed it was an accurate portrayal of the period, the controversy and Wilberforce’s triumph. See more information and a trailer here. 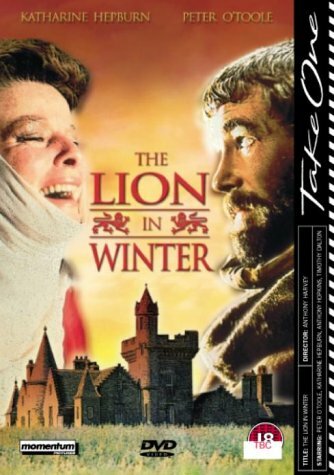 Who can resist the battles of Henry II and his Queen, Eleanor of Aquitaine, in The Lion in Winter (1968) starring Peter O’Toole and Katherine Hepburn. The screenplay was adapted from his stageplay (1966) by James Goldman. Set in AD 1183, the story gives the stars some outstanding opportunities to spar with one another over the succession after Henry’s death. Here is a trailer. Henry II was played by Peter O’Toole a little earlier in the 1964 film Becket. 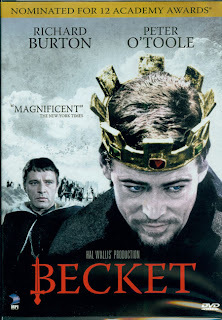 Based on a play by Jean Anouih, the story of Becket’s martyrdom is brilliantly done. Richard Burton stars as Thomas Becket, one of his finer performances in a career that often served from the heights to the depths and back again. Becket garnered a raft of awards and nominations. 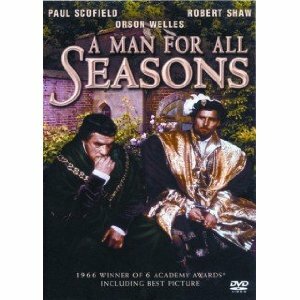 A Man for All Seasons came out 1966 starring Paul Scofield as Sir Thomas More. It originated with the play by Robert Bolt about the controversy over ending Henry VIII’s first marriage. Orson Welles appear as Cardinal Wolsey and Leo McKern as Thomas Cromwell as they all argue over Henry’s determination to marry Anne Boleyn in the 16th century. Both of the following links to trailers may require you to watch an ad before the REAL trailer. Here I and/or here II. I despise the ads on these trailers — and come to think of it, on some DVDs where you can’t duck them by any means. Grrrrrrr. So much for my ranting. For my money, Robert Shaw plays a great Henry VIII, far better than Jonathan Rhys-Meyers in the currently running The Tudors on Showtime — who is pretty good, just not up to Shaw. 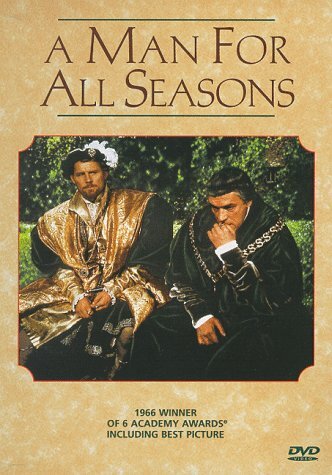 Paul Scofield won a Best Actor Oscar for his portrayal of Sir Thomas; Wendy Hiller portrayed his long-suffering wife. Many of us have a long-lasting fascination with the members of the Bloomsbury Group — their Bohemian lifestyles, their experimentation in the arts and in their personal lives and sexual preferences. 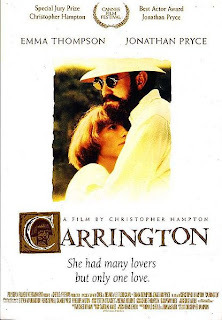 The story of Dora Carrington, rather a peripheral member of the group, is told in Carrington (1995). The film stars Emma Thompson as Dora Carrington, Jonathan Pryce as Lytton Strachey, part of the Bloomsbury group in the time of WWI. Many more favorites appear and I believe the film was shot at some of the Bloomsbury Group’s favorite haunts. A recent review includes link to the trailer. I’ll stop for now, but whenever I make a list of favorite films, more come to mind — for another day. 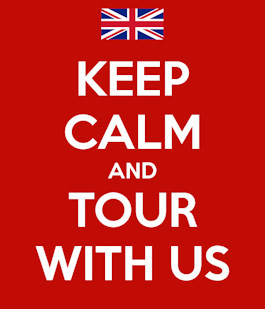 Please let us know what your favorite British films are, meaning those about Britain, not necessarily always made in Britain. 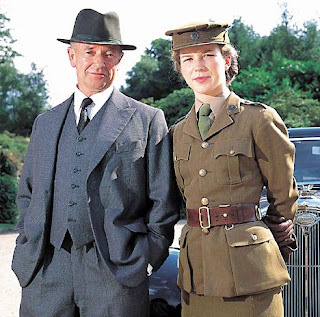 Do You Know About Foyle's War? Oh, boy. This one’s a winner. Not Regency, not Victorian, but a series that will quietly grab you and have you hooked by the end of the first episode. I’d written this post in draft weeks ago and only found out yesterday from Jo Manning that the new episodes were being aired on PBS Mystery starting last night. Sorry, sorry, sorry for missing the boat on this, but there’s no time like the present to let you know about Foyle’s War if you aren’t familiar with it. And if you are, there’s no time like the present to tell you that next two new episodes in the series will air on Sunday, May 9 (Killing Time) and Sunday, May 16 (The Hide). 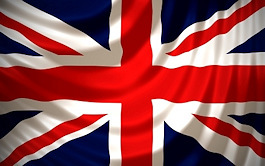 In early World War II Britain, as British soldiers and pilots valiantly resist the German forces on land and in the air, their kinsmen at home face head-on the effects of the awful war that has engulfed their nation. Food rationing, black-outs, German bombing raids, all these and more are daily reminders that no one is to be spared. For Detective Chief Superintendent Christopher Foyle of the Hastings police department, a man who served his country in World War I and then rose through the ranks of the police force to his current position, sitting on the sidelines during this war is frustrating. Requesting more direct involvement but continually rebuffed by his superior officer, DCS Foyle is further frustrated by a shortage of manpower that impedes his powers of policing. As Foyle quickly learns, however, the role he plays is in no way a small one, for the war has certainly not brought a cessation of crime. If anything, it has intensified the heinous nature of domestic crime when carried out against innocent people already suffering, sacrificing, and struggling to persevere in such a brutal time. Each episode of Foyle’s War, created by Anthony Horowitz (Midsomer Murders), blends real-life war stories with tales of treachery and suspense. Whether investigating sabotage, looting, stolen food or fuel supplies, police brutality of conscientious objectors, treason, or murder, Foyle and his colleagues must wage their own personal war amidst the tumult of a larger one. But more than a period whodunnit, Foyle’s War is redolent with rich human drama subtly revealed through the lives of these main characters who make up the heart of the series. Steadfast and loyal to each other, they strive to uphold the values for which they and their countrymen – their loved ones – are fighting and dying. Michael Kitchen, as Foyle, doesn’t say much and prefers fly fishing to socializing, but Oh My is he clever. The human side of the war is emphasized through continuing secondary plot lines that involve the ongoing love life of Foyle’s female driver, Samantha. She even has an ongoing fling with Foyle’s son, an ace fighter pilot. Foyle’s second in command, Sergeant Milner is a wounded vet who lost a leg in the war – a fact his wife is unable to deal with. Foyle’s War was created in 2001 by author Anthony Horowitz and commissioned by ITV1 to fill the void following the end of long-running detective series Inspector Morse. Set in Hastings, it ran to 19 episodes and featured Foyle’s attempts to catch criminals taking advantage of wartime confusion. Now, three more episodes have been made (wooo hooo! ), with Michael Kitchen reprising his role and Foyle’s peacetime exploits are likely to feature his female driver, Sam, more prominently. Foyle’s War will return to ITV1 with a “new style series” set in June 1945, after VE Day signalled the end of the conflict in Europe, but with the war against Japan in the Far East not yet concluded. “Like everyone else, detective chief superintendent Christopher Foyle needs to feel his way in this new world. Keen to retire, but bound to his old job by the shortage of senior men, Foyle is thrust into the dangerous worlds of international conspiracy and execution, military racism and national betrayal,” ITV said. 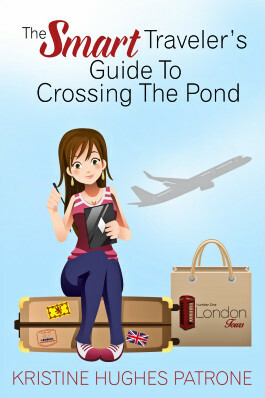 Author Kristine HughesPosted on May 3, 2010 Categories Do You Know About?, Films, Kristine Hughes, Uncategorized6 Comments on Do You Know About Foyle's War? On 2 May, 1816, Her Royal Highness Princess Charlotte Augusta of Wales married Prince Leopold of Saxe-Coburg-Saalfeld in Carlton House, the home of her father, the Prince Regent. The occasion was full of joy for the British public for the masses loved the Princess and they knew her life had not been easy. The only legitimate grandchild of George III, Princess Charlotte was second in line to become the monarch of Great Britain. Her mother and father separated shortly after their marriage and never lived together. 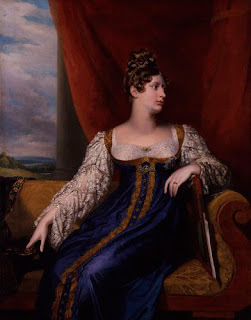 The Prince Regent was envious of the public interest in Charlotte and he restricted her movements and even her contact with her mother, Caroline, Princess of Wales. Prince Leopold and Princess Charlotte lived at Claremont, an estate in Surrey. There, just over a year after the wedding, Charlotte died after giving birth to a stillborn son. The people mourned their Princess on an unprecedented level. 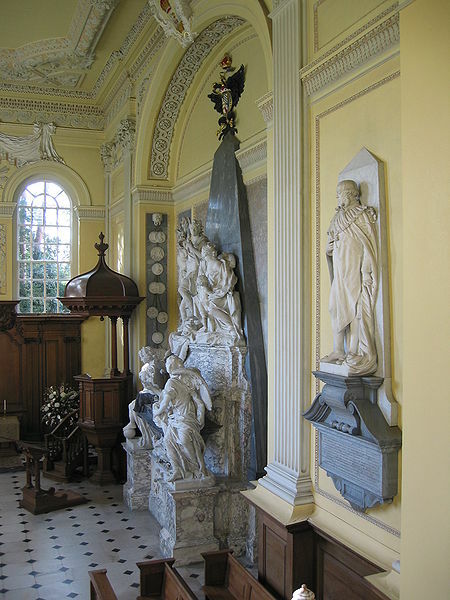 Charlotte was buried in the Royal Chapel at Windsor. 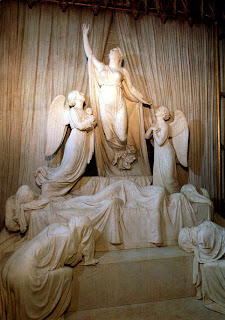 A large memorial to her shows her descending into heaven, her infant son held by an angel. Prince Leopold remained involved in the British Royal Family. 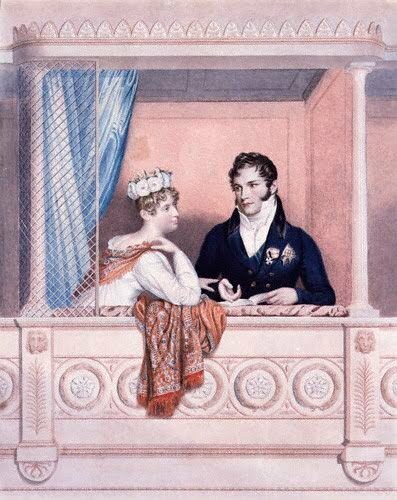 He helped the Duke of Kent marry his sister, Victoire, who eventually became the parents of Princess Victoria. He advised his niece before and after her accession to the throne. 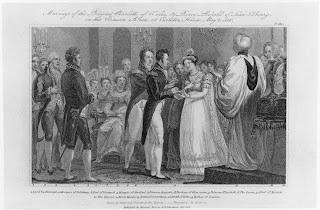 And he also facilitated the marriage of his nephew Prince Albert of Saxe-Coburg- Gotha to Queen Victoria. 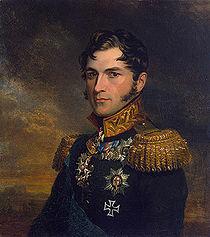 In 1831, Leopold became King of the Belgians. He married again and had three children. His daughter was named Charlotte after his first wife. 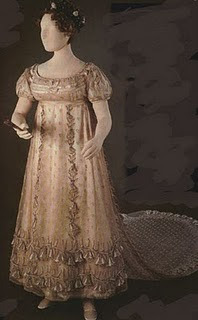 Right, Princess Charlotte of Wales 1796-1817.